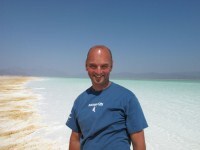 SCUBA Travel, 5 Loxford Court, Manchester, M15 6AF, UK. Tel: +44 (0)161 226 4591. The SCUBA Travel web site was set up by diving enthusiasts at the start of 2000. We aim to provide impartial advice about diving destinations: the dive sites, dive operators, accommodation, location and so on. Most of the photographs on the site were taken by our photographer, Tim Nicholson. Tim has been diving since 1984 and is a BSAC advanced diver. You can buy Tim's underwater photos and books here. The webmaster of the site is Jill Studholme. Other work on the site is undertaken by the well-travelled Andrew Reay-Robinson. We are very grateful to our other contributors who share their diving knowledge, photos and videos here. These include: David Collins, Graham Collins, Bill Mashek, Matthew Moore, Joe Ryan, Nick Hope and everyone who has written a review. If you would like contribute an article or photos to the site, please get in touch below. For full details see Using Content from SCUBA Travel. Any questions please get in touch.